Even after 6 days on a serious taco binge in Mexico over Memorial Day weekend, I was dying to get to Antique Taco in Wicker Park. I had heard good things, but was honestly expecting a Big Star off-shoot, but discovered a gem of a taco cafe that was more quaint, rustic and seasonal than taqueria roadhouse. Don’t get me wrong, I loooove me some Big Star when I’m in the mood for some cerveza with my pork belly and summer crowds. 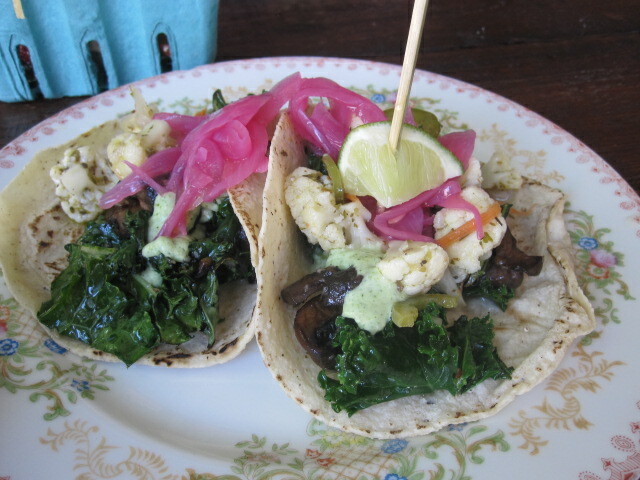 But Antique Taco offered a different, and equally as delicious experience. Let start with the tacos. One look at the menu and my eyes darted to “garlicky kale,” “pickled escabeche” and “cilantro cream” in the market mushroom, so I knew I had to have it. These ingredients along with local mushrooms were stuffed inside a fresh, soft tortilla, each bite delivering all of my favorite flavors and bursts of lush green and pink. A fresh lemon wedge for the squeezing just added to the beauty of these generously sized dish. 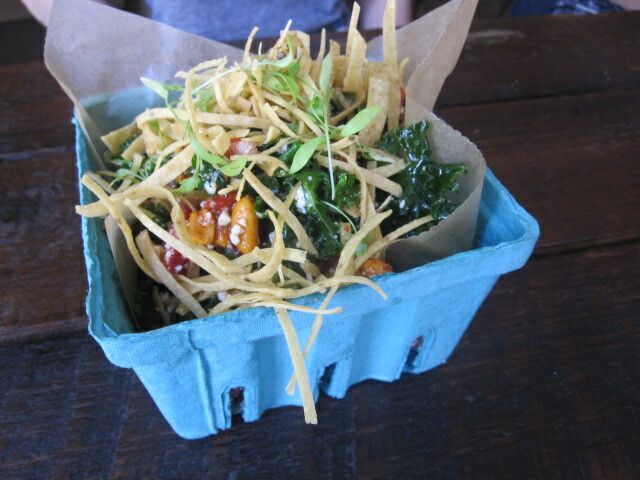 Garlic-soaked or not, I could eat kale everyday, but I need something crispy to balance it out. 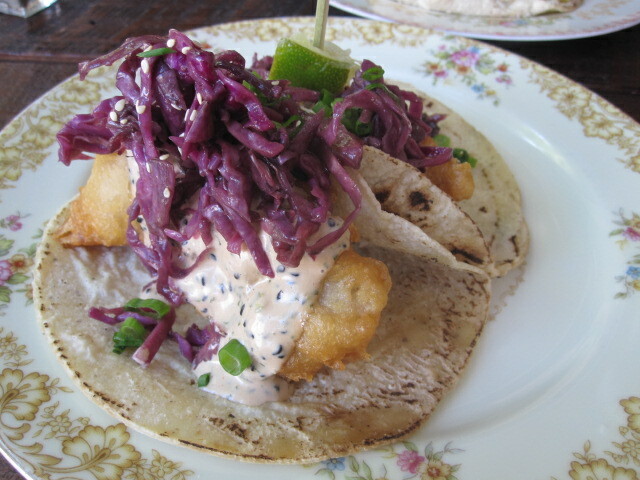 Our other taco was the crispy fish with smoked cabbage, scallions and sriracha tarter sauce. Light tempura battered whitefish was the perfect canvas for the smoky cabbage and spicy tartar sauce, again all wrapped up in a fresh flour tortilla. Coming off my Mexico trip, I had to do the tacos, but you won’t miss the tortillas if you get the taco salad served in a cardboard blueberry carton. With a crunchy and colorful array of kale, spicy peanuts, queso fresco, cranberries, corn chips, sesame, pomegranate vinaigrette, it’s almost too pretty to eat. 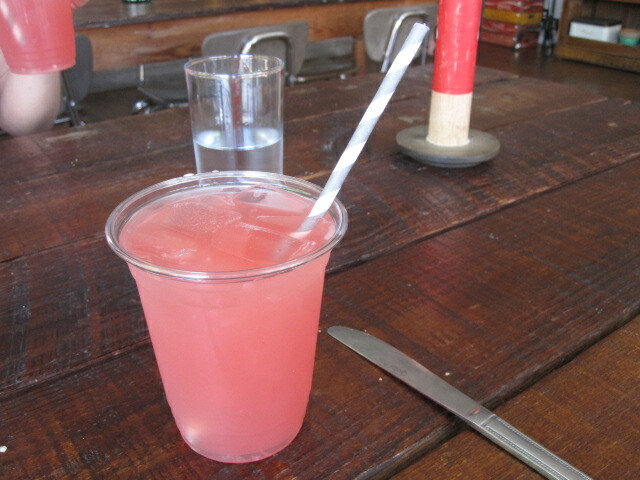 Pork carnitas, a toasted tortilla soup, chili cheese curds and habanero popcorn on the menu mean multiple visits are in order to basically try, well everything, and I didn’t even get to the horchata milkshake or are you kidding me Mexican chocolate and marshmallow pop tart, but the perfect summer quencher (and something we sipped all over Mexico) are the agua frescas made with seasonal pureed fruit, simple syrup and lemon juice…available with or without vodka. OK, I’ll stop, just go. 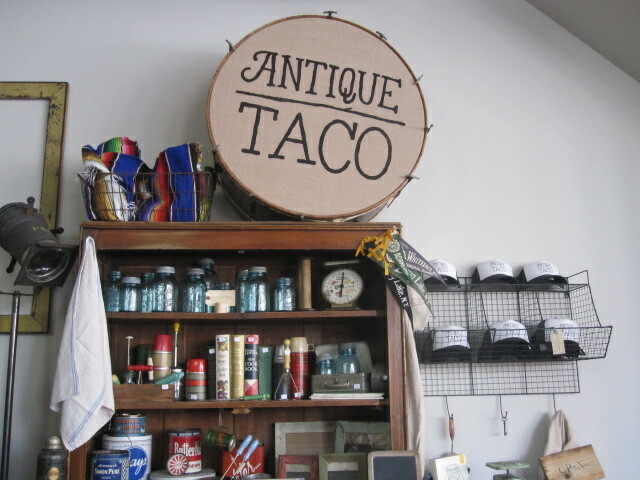 Antique Taco, 1360 N. Milwaukee Ave. The food looks delicious. Do you recommend for a vegetarian? Absolutely! The taco salad and the market mushroom are both veggie and amazingly good!